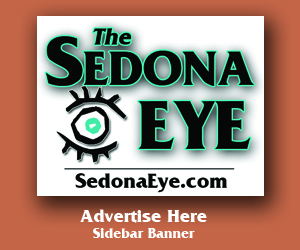 Sedona Eye » Eddie S. Maddock: What’s Next Sedona? 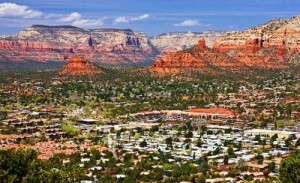 Home » City Council, Community » Eddie S. Maddock: What’s Next Sedona? SedonaEye.com columnist Eddie Maddock asks where will all the red rocks go in Sedona’s new concrete-friendly Vision Statement? Sedona AZ (September 18, 2018) – As the dust settles from yet another conclusion of a city of Sedona primary election, there are those who remain stunned at the results and those who will remain jubilant, for at least the next two years. Of course the General election is in November when the incorporated Sedona’s hot button will be approval or denial of a Permanent Base Adjustment. A good deal of information has already surfaced relating to that measure – and assuredly more will be forthcoming. Therefore, there isn’t a need to discuss the subject at this particular time. What immediately is before City decision makers is the ongoing and unsettled issue of addressing an overabundance of traffic. In addition, decisions will be made relating to development of at least two more resort hotels bearing names of national recognition, more discussion relating to land use, creating the professed need for “affordable” housing, and, at the same time, facing and admitting that Sedona is not too far away from being “built-out.” Far reaching anticipation might very well be lurking in the background at the possibility of acquiring more land via USFS land trades, but that might be a tough sell. Or then again, maybe not…except that revising or amending the U.S. Forest Plan would be an arduous task. With the core of our City Council remaining essentially the same, there isn’t any reason to anticipate great changes in direction and/or policy. As development continues to commence, it’s likely to become a greater challenge for existing subdivisions to secure the integrity of their CC&R’s in the event substantial requests for rezoning to higher density development on available vacant lots surface. It could very well become more important for individuals to monitor City Hall activities for knowledge and peace of mind to assure build-out in specific areas is in keeping with expectations of existing residents. At the time the Sedona Community Plan was most recently updated, it became apparent certain specific changes had been made. For example, the “Vision Statement” no longer includes reference to a small town character. Rightfully so since Sedona, presently headed towards having at least one major resort at almost every intersection, has long since surpassed that vision. VISION: Sedona is a community that nurtures connections between people, encourages healthy and active lifestyles, and supports a diverse and prosperous economy, with priority given to the protection of the environment. A quick rundown of the six essential goals or major outcomes have been identified in the Community Plan as: Environmental Protection; Economic Diversity; Housing Diversity; Reduced Traffic; Community Gathering Places; and Access to Oak Creek. During city council meetings it is frequently apparent city council members and staff are vigilant in keeping the Community Plan in focus, as reflected by many references to the Plan during discussions. 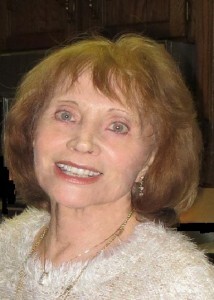 It is fascinating at times to study and attempt to analyze justification on some occasions – such as defending product development as a portion of what originally was a Destination Marketing contract with a regional, member driven local non-profit conveniently located within Sedona City Limits. To-date has a clear, distinct, and decisive definition ever been offered pertaining to product development as city officials conveniently slipped it into the process? And is an attempt to rationalize a realistic connection with any of the above to the goals and objectives to the Community Plan a bit far fetching? With yet another traffic/transit study soon to be under way, Community Focus Areas remain to be planned and developed. Most of the aggressive planning for Sedona’s future will be costly and, so far, there appears to be nothing offered relating to the source of those funds. When Sedona purchased the former Ranger Station, a 3.4 acre parcel on Brewer Road which includes an historic barn and house, ambitious plans were soon to follow for such things as community events, weddings, family reunions, community garden concerts, dances, plays, movies, historic talks and tours…to mention but a few! However, the latest scuttlebutt is that the Brewer Road property has been extended for use by Tlaquepaque for parking cars allegedly for special events. The Pushmataha building on Brewer Road is within certified wildlife habitat grounds. Is such use of that public property even legal and, if so, what are the terms and conditions? Does Tlaquepaque pay the City of Sedona for use of that land? Or is lending public property to private enterprises subject to the same or at least similar conditions as to perhaps reflect a temporary gift situation? And if such arrangements have in fact been made…how much damage is being done to the former Ranger Station property and what about future costs for mitigating such damages to return the acreage as suitable for the original designation? How much might that reflect in cost escalation when and if the historic property is, in fact, turned into the promised park? Or after so many years and so many changes in composition of the Sedona City Council will the property the city of Sedona purchased for over market value in 2014 as a park simply fall into the existing forever use as that of a parking lot? As time goes by, if ever there has been anything consistently rising to the surface, it’s the apparent change in demographics in Sedona since incorporation. Those who pushed for it did so primarily for the reason of controlling growth and, yes, maintaining that small town character which has since gone hither and yon. The new generation, so to speak, turned out to have the exact opposite goals and objectives and, like it or not, that is what you are witnessing. In a nutshell, beauty is in the eye of the beholder. In the case of Sedona, massive concrete developments in many instances are blocking Sedona’s famous views — views versus red rocks appears to be the current trend. Massive concrete development can be re-created any time and any place. Sedona’s red rocks cannot. In general, the new/old City Council has their work cut out for them and based on Sedona’s registered voters their decisions appear to be going well, keeping a majority of the inmates content. The logical option is to join forces, roll with the punches and extend kind thoughts and good wishes for successful decisions. And the decisions must prove to be in the best interest for the city of Sedona in general which, first and foremost, is its Health, Safety, and Welfare…with emphasis, please, on Health and Safety. Why on earth was the Chamber of Commerce staff placing the school budget override signs along 89A? They just closed a school and now need raises. The last time they laid off teachers, shortly followed by the pay raises.Is this the standard? Chamber has free time to work for the school?I thought for sure they would be busy setting up for the “picnic meeting” on oak creek canyon. So you saw the chamber putting out school budget override signs aye..
You have full regulatory capture. It’s a big club, and you aint in it. That was the craziest post that I’ve seen in months. I guess when employees are off duty that they don’t have an opinion. I see it as employees that you may recognize that are employed by the Chamber feel strongly about education and want to help when off duty. I would expect such things from people who live in small towns and see nothing wrong with it. It seems like you have a lot of negative energy for living in such a small town. Perhaps an alternative residence should be considered by you. I might agree with the concerned citizen involvement comment but disagree totally with calls for any person to relocate with a different viewpoint as it’s a bigoted and bullying statement to smother free expression. My classroom follows the comments once a week and never does it fail to provide fodder for discussion. It’s important to teach how to think even when others tell you not to disagree or penalize you for differences. It was between 9 and 5 during the week for those of you who have created the reasons why. It was not lunch time. Stop making up stories. The chamber was doing the school’s work. End of story. Well if your”story” is try and I doubt it very much. When you advise your students, I would suggest you have them research a recent editorial in the Red Rock Fake News. 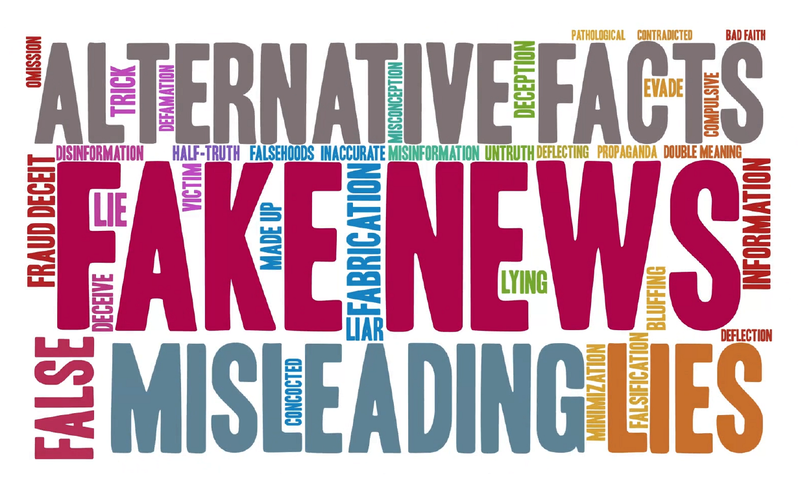 In said editorial, the Red Rock Fake News used every term in their thesaurus to smear a candidate, calling a mayoral candidate ” The worst candidate ever to run for office in Sedona.” and ” Vote for anyone but that candidate.” Have your students read the article and then research the candidate. They will be voters soon and they should learn how the system works. What I don’t get about the school district is why they keep asking for continuation of or more overrides when the school population continues to dwindle????????????????????????? They already closed the Brewer Road school years ago and turned it into administration offices. Now the school in the Village of Oak Creek is shut down. Most or many people with children are sending them to charter or private schools. Where’s the justification? Fewer children but they want more money??????? Get a broom and sweep out the corruption, the thievery, the liars, the administrators that pour money into useless programs to hire useless people!!!! !Why is the city paying for teachers and classes when there’s twice as much money allocated for Sedona students than the rest of the state already???????? And three times more administrators than other districts?????? While you may feel that the RRN editorial was fake, in that instance, they were spot on. Red Rock SNews always has and always will be selective reporting as indicated at least every election when they create “hit piece” editorials on the candidates not of their liking. they seem to go after those running for mayor. little wonder not too many people are willing to throw hats into the lion’s den let alone their entire bodies! quite a legacy IMO. Then there are the pitiful pearls that continue to bash SedonaEye for allowing all sides of an issue to be presented. and they do it with words, phrases and spelling barely even identifiable with the English language! Question is why do they continue reading when they’re filled with such biased hatred? A nice education for students all right. @Marge YOU ROCK!!! Wish I’d written that MASTERPIECE. Holy Saint Theresa and Bless the Lord “them’s” the kind of questions that need to be answered by not only the School Board but also the Fire Board and Sedona City Council (for those of you pathetic suckers who live in the incorporated area). go to HULU and watch Active Measures. You will begin to understand the connection between Trump and the Russians. Great documentary. We are in great trouble as a Country. @republicans Are you serious? It’s not a documentary, it’s a histrionic filmstrip of YouTube newspaper headlines. Best review reads Clinton-Trump-Putin all bad apples is ‘Bryan’s film is a paperweight class book an audience needs more than two hours to get through.’ Democrats don’t like it either, supposed to give Hillary a leg to stand on to help win except it backfired and showed how bad she is too. What’s with the hair brained rumors about forming a NEW county to include ALL of Sedona? NO EFFING WAY a thousand times. Coconino County is just fine – better than Yavapai. The last thing needed is another opportunity for the Libs to take over (which is exactly what will happen in a new county just as they’ve done in Sedona government). Socialism? We have it in incorporated Sedona. Do NOT need it broadened to another county. BAD IDEA. The SPECIAL MESSAGE on the Account Statements received by sewer users falsely states: “The City Council rescinded the increase for FY 18-19 and rates will remain the same as last year…” Huh? There’s no increase to rescind. Images of three and four-story buildings are illustrated in the Draft Sunset Live/Work CFA Plan the Sedona Community Development Dept. has on this Wednesday’s City Council Work Session agenda (Feb. 13, 2019). The Director (isn’t this Karen?) may authorize higher density, floor area ratios, lot coverage or structure height if consistent with or supported by adopted CFAs. And now increasing density can be done administratively instead of requiring a rezoning. Affordable Housing that is deed restricted to meet the City’s affordable housing criteria is exempt from density calculations. In addition, the required Community Plan amendment and rezoning (required previously) are no longer needed for multi-family housing in the Light industrial zone. WOW! 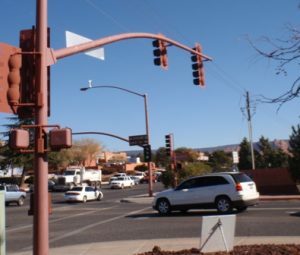 High-growth will worsen traffic congestion and further degrade Sedona’s quality of life. IMO Serious overreach and IMO likely illegal. Administrative work and employees aren’t protected from public accountability. Call a Valley or California lawyer specializing in municipal/government/incorporation accountability and oversight and zoning. There are several. Call AG and report this. Ask to send supporting docs including public and private communications. Open Meeting Law questions raised. FOI? What’s not on the public record? Nothing I’ve written is meant to be legal advice and is just opinionated comment for open discourse and transparency. Sedona voters were snoozing when the Community Plan was updated. High density development is on the horizon. The one being discussed at the special meeting 2/13 is just the beginning. By allowing these major decisions to be decided at city staff level has effectively silenced your voices. Just wait until they approve a massive structure in your own neighborhood. Maybe then you’ll squawk but it will be too late. In fact it’s too late now. What a shame – the ruination of what was once the most beautiful place in the world is happening right before our eyes. Thanks Chamber of Commerce and Lodging Council but mostly thank all the people who vote in council members that have allowed this travesty. (deleted by editor) I welcome low cost affordable housing in Sedona…. Since Affordable Housing is now exempt from density calculations, will it be subsidized by the City of Sedona in the future? BTW, the City Council approved payment of sewer capacity and development impact fees of $38,373.75 from the City’s Affordable Housing Fund along with a waiver of building permit fees of approximately $7,700 for the Verde Valley Habitat for Humanity’s three, 3 bedrooom townhomes coming to 460 Peach Lane in Uptown. An Administrative Waiver for the reduction of both side lot setbacks was approved by the Community Development Director (Karen?). This property is 0.26 acres in size and zoned High Density Multifamily Residential ( RM-3). The property is not within a Community Focus Area (CFA). Friends looking at a Sin Salida house said that other friends said a bed and breakfast on private property there can be torn down and a high rise of 3 stories put on it. They aren’t buying in VOC now and won’t buy in Sedona. They’re buying in Tucson because it has height requirements and won’t allow “visual vistas” to be impeded. I’m sick about this change in our beautiful peaceful red rock desert. SICKENED. That ugly hotel eyesore is WRONG. @alarmed Where did city get its valuations & fees to forgive? Whose the owner? 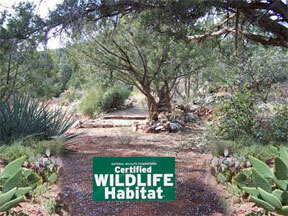 View 1 photos for 460 Peach Ln, Sedona, AZ 86336 a bed, bath, 0.26 acres. land built in that sold on 07/12/2013. This property was last sold for $130,000 in 2013. @Bob, Uptown. I suggest you drive by 460 Peach Lane since you live in Uptown. It’s a drop down dead VACANT LOT–only one tree on it, nothing else. In fact, City RESOLUTION NO. 2018-06 is entitled: “A Resolution of the Mayor and Council of the City of Sedona, Arizona, Approving a development agreement with Verde Valley Habitat for Humanity, a private non-profit corporation, for the 460 Peach Lane Project. (Dated the 13th day of March, 2018). The Denney family recently purchased the BnB I think you are referring on Sin Salida in August ’18. We have no intention to “tear it down or build anything new” and are in the process of updating and revitalizing the property. This is the historic Dickison Ranch Homestead which was part of their 150 acre cattle ranch and the last property Homesteaded in the Sedona area….a lot of history here which we will continue to protect and to share with guests and family. @denney family My heart and soul feels restored with your good words about not tearing down the existing structure, but my friends won’t look to live here now. They’ve made their decision. Welcome to our village and please work hard to keep your home and our many neighborhoods peaceful and beautiful for those that will visit you as customers. We are proud of our dark skies and wild animals and quality visitors who pick up their own trash and walk around our safe villages quirky shops because they respect the desert. Thank you SedonaEye.com for being here for us to swap news and hear about our community. I am of the belief it’s the one place we hear the truth. Keep Sedona Beautiful, Chamber of Commerce, and City of Sedona have joined forces to campaign for “sustainability” – no more plastic straws in restaurants, etc., etc., blah, blah, blah. 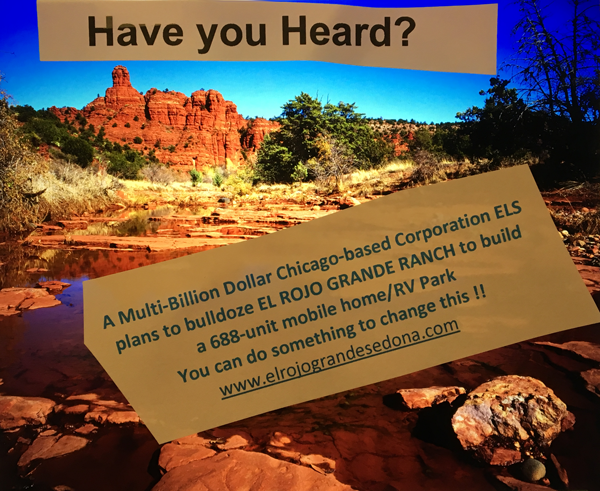 Now not saying “sustainability” is a bad idea, what does hit a nerve is KSB joining forces with this C of C who have probably (maybe next to developers) been the single most devastating encroachment for maintaining Sedona’s beauty. Hypocritical – both C of C and City of Sedona – but Keep Sedona Beautiful joining forces with them on this pathetic effort to cover up the damage they’ve collectively allowed to occur in Sedona? The founder(s) of KSB must be turning over in their graves. @Frank, Bad News, KSB hooking up with the chamber of commerce and city government? And why should that surprise you? Have you forgotten for the last couple of years or so they have given their blessing to the god-awful laser wildlife fright lights into the wilderness during the holiday season? Phonies? Take your pick and that includes funding to their bogus causes as well. “Keep Sedona Beautiful?” Right (NOT).